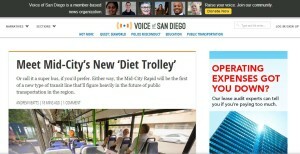 The news website Voice of San Diego and a similar operation in Minnesota will share a $1.2 million grant to help grow their paid membership bases, the John S. and James L. Knight Foundation announced Monday. The charitable organization of the newspaper chain founders said Voice of San Diego and MinnPost will each get $600,000 over the next two years to improve their customer management systems. The sites hope to triple their membership rosters by the end of 2016. 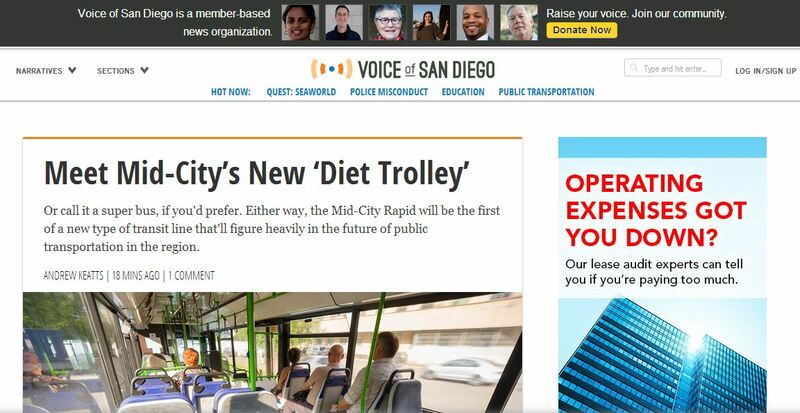 Voice of San Diego and MinnPost began working together in January with a common consultant. Both are switching to a system using Salesforce.com which, according to the foundation, will automate many tasks and streamline how each publication deals with attracting and retaining members — with a goal of making it easier for donors to give money repeatedly. According to Lewis, the 9-year-old website’s membership increased 27 percent last year to around 1,850 people. MinnPost has more than 2,200 members. He said the websites will also test and adopt new products, services and experiences for members in an effort to attract readers who want to be members rather than non-paying readers. The Knight Foundation has given $5 million in grants via its Local Media Initiative, which aims to help nonprofit news organizations become sustainable over the long term.